Welcome! I love sharing energy healing, my work consists of group and private session, both in person and remotely over video. Over the years, I've shared energy healing with over 1000 people in person and hundreds more remotely. I have witnessed and experienced breakthroughs and miracles that I once only read about. If you are feeling called to work with me please proceed further down the page to connect to support your journey! 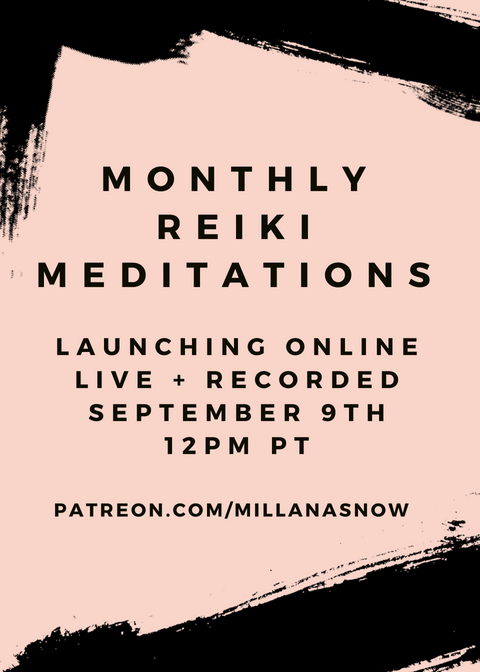 My intention is to provide the tools and the space that will support you in connecting deeper within to the healer within you! If you have any questions or are interested in a booking for a group or large event, please feel free to email me at info@millanasnow.com. Would you like to join me for an event? Click here for upcoming events and retreats! It's so important to me that everyone receive energy healing, if you are looking for support between sessions, sign up for my monthly online healing>>> Go here, we will gather online 1x a month for healing and learning! If you want to dip your toes in an event or jump all in with a retreat, click the image below! Listen to my breathwork playlist HERE!